Specifications and laws governing safety of plant and machinery differ from country to country. Find out more about which local specifications you need to consider when you export machinery! GIT SECURITY Award – SecurityBridge ranks among the Top 3! What might your reproducible automation solution look like? 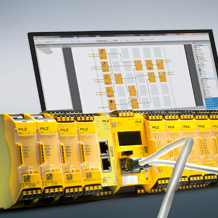 Learn automation technology in practice – with the Pilz training systems! The application Firewall SecurityBridge was elected into the Top 3 of the GIT SECURITY Award 2019. 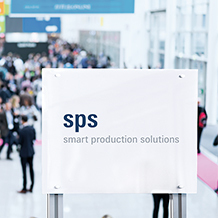 Be there live in the award ceremony at the SPS IPC Drives 2018! You can simulate a PNOZmulti project from Version 10.9 offline completely without hardware. Simple logic elements, counters and operating modes are calculated automatically in the first step. Download the software PNOZmulti Configurator Version 10.9 now and test it! 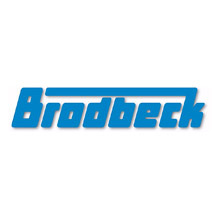 The engineering company Brodbeck attaches great importance to safety solutions and components that can be transferred to multiple plants. Be inspired by how your reproducible automation solution can look! 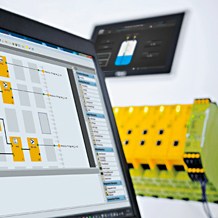 The product range for the configurable safe small control systems PNOZmulti 2 has been expanded to include an analogue input module PNOZ m EF 4AI. 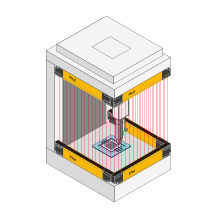 Monitor your process values up to PL e / SIL CL 3 safely and exactly now! 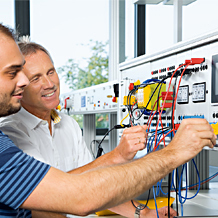 Pilz Education Systems ensure the greatest practical approach during in-company training when learning safety and automation functions of machines. Learn more about the opportunities for using the training systems!